Hello dear reader, and welcome to another episode of the Foodie Files here on Cabin Twenty-Four! My youngest brother recently broke his earphones so my mom and I decided to head to Apple to get them exchanged. While waiting for our appointment for the Genius Bar at Apple, we decided to stroll down any open establishments in Downtown Pasadena. 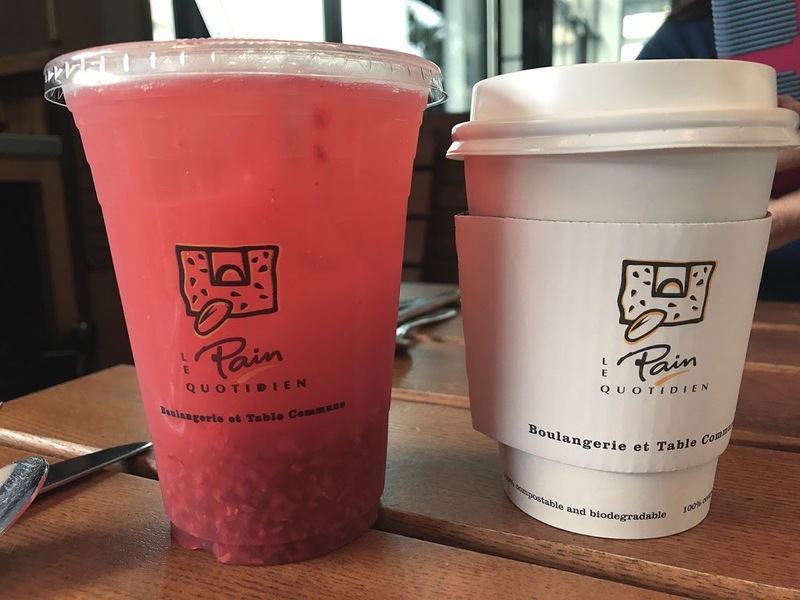 My mom suggested Starbucks; however, we ended up at Le Pain Quotidien. 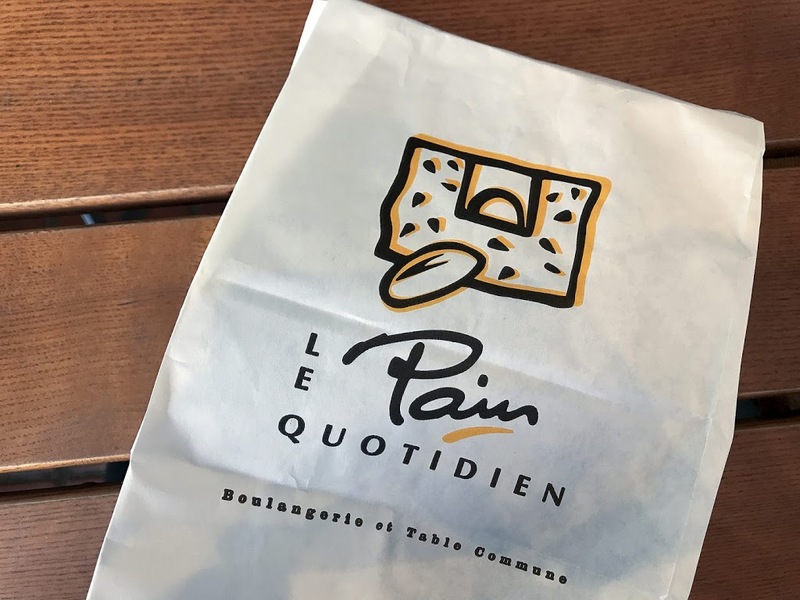 Apparently, le pain quotidian easily translates to “the daily bread”. 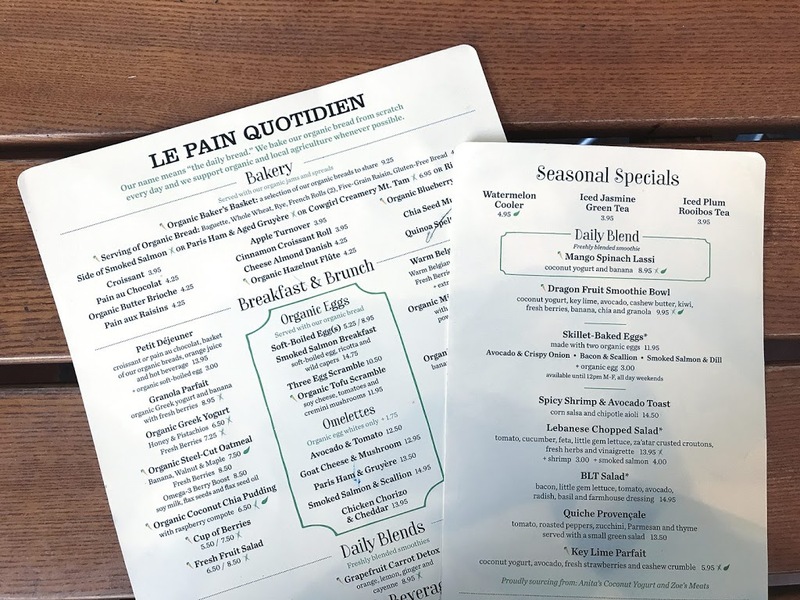 One look at the menu, and it’s safe to say that Le pain Quotidien is a rather hipster food place. Pretty food and even prettier table settings = very photogenic establishment. I had originally wanted to get the spicy shrimp and avocado toast but opted for the warm chocolate Belgian waffle. 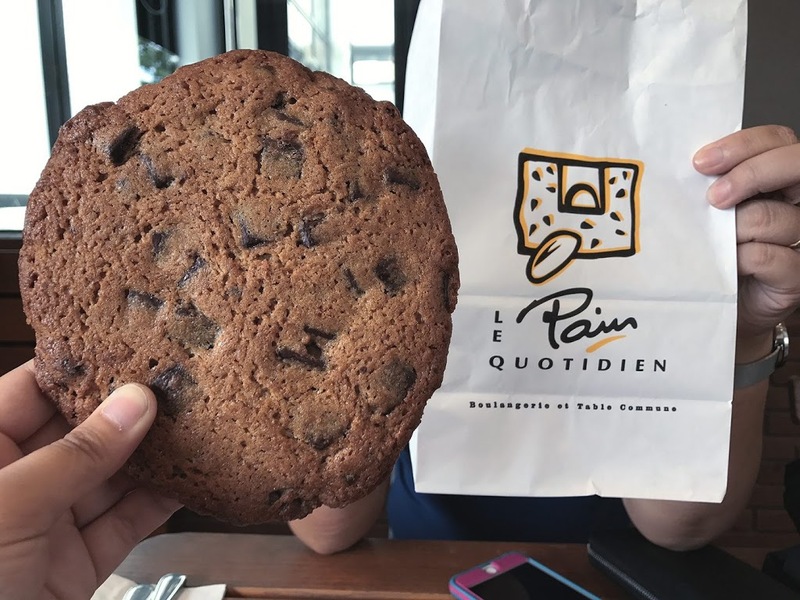 My mom loves her sweets so she wanted a chocolate chip cookie. Unfortunately, right when our server arrived, I received a text from Apple saying that we needed to check-in within ten minutes or our spot would be given away. Instead of ordering the waffle, I settled for a chocolate chip cookie and their raspberry lemonade.